Staples hasn’t had a Visa or Mastercard gift card deal in quite awhile. Fortunately that is changing starting on Sunday when they are offering a $20 rebate on the purchase of $250 or more in Visa gift cards. Lets break down the math and look at the offer terms to find the best strategy. In my opinion it is best to use one of the Chase Ink cards to earn 5X Ultimate Rewards points at Staples. You could also use an Amex SimplyCash card which earns 5% back at Staples. (My math will be based on using an Ink card.) Lets find the best combination of gift cards to purchase. Option 1: 1 x $200 & 1 x $50 for $261.90 and make a profit of $8.10 + 1,310 points. Option 2: 1 x $200 & 1 x $100 for $312.90 and make a profit of $7.10 + 1,564 points. Option 3: 2 x $200 for $413.90 and make a profit of $6.10 + 2,070 points. If you look closely, option 1 is $2 cheaper than option 3 and yields an additional 760 points. So by purchasing 2 x $200 gift cards, you are buying 760 additional points for $2. That amounts to a price of $.0026 per point. Pretty good deal! There is a limit of one rebate per household. Some people have had success asking family members to use their addresses and don’t forget it may be possible to use your work address as well. Just make sure when registering the rebates that you use a different email address for each one. These cards are issued by Metabank and can easily be liquidated to both Bluebird and Serve at Walmart or even REDbird at Target. There are also many additional ways you can liquidate these types of cards. 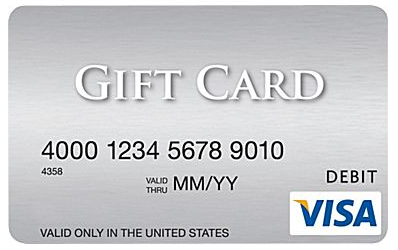 For more see our resource on Liquidating Visa & Mastercard Gift Cards. Can we use our name but different family members addresses? You can, but Staples does look for those types of things. I only pick up vgc at Staples when there’s a promo like this going on. I have three households, including ours so I’ll pick up $400 x 3 orders. It’s funny, the cashiers always seem apprehensive at someone saying they want 6 gift cards. Once I was told they couldn’t do it, to which I smiled and said usually the manager comes out to approve it. The manager is a really nice lady and she jokes that when she sees me, she knows there’s a promo going on (because she tells the cashiers as a heads so so they are not paranoid of a high number of fraudulent requests). I can’t blame them obviously. She’s told me stories of people trying to scam the store. She in fact used me as an example of all ID checks/protocol to show two cashiers how to ensure it was a legitimate transaction. If only the local Safeway was the same! Safeway is a completely different animal, but it’s so YMMV with buying vgc overall. I typically have a 70%ish success rate, but unless the cashier recognizes me (I try to go for familiar faces), they often seem a bit uneasy at my initial request of a $490 gift card being paid for with a credit card. There is one frowny face woman (manager) I will walk out of the store immediately if I even see. She’s quite the dictator type that makes you feel like you’re a criminal. At any rate, I love when Staples runs this deal. You don’t even have to pay for the stamps. Takes just a few minutes once you get home and you’re done. I just hope my dear love Kate is up and running still at the local Walmart. Do they swipe or scan ID to register the purchase like they did at CVS? Data breach concerns…. I got a couple of these a few months ago but don’t see any way of adding a PIN so as to load my Serve at Wal-Mart. What am I missing? Are you talking about the rebate card? The $20 rebate card doesn’t have a pin. With cards you purchase at Staples the last four digits of the card number are the pin. You can also call the number on the back to change the pin as well. I just now tried (and failed) to load previous $20 vgc from the last promo at a Kate machine. Is this the norm, or do I have to use a custom pin# ? I used the last 4 on the card. Sorry if I wasn’t clear, but the card you get from the rebate itself is not pin-enabled. It won’t work with Kate. What’s the easiest way to liquidate them then? The Target here always checks for my name so I can’t use gift cards for RB, especially ones in a relatives name. I generally go to Amazon to do it (just buy Amazon GCs), although you may be able to use them to purchase other gift cards at some stores. Also, my local Kroger will auto drain them so from time to time I use them that way. Yeah, Amazon is an option, however I’ll have to eat 5%. So that $20 card becomes $19. I use my Sallie Mae CC for 5% cb at Amazon. Thanks, Shawn, for alerting us again to a great deal – I just hope this won’t be the last one! With the Staples-OfficeMax merger, I’m guessing we might see less and less of these promotions. Already, one of our local OfficeMax stores is closing, and Staples has shortened their weekly business hours. Can these be loaded into redcard at target? If so, how’s the process? Same as loading Bb or serve at Wm and do they check for ID? It’s YMMV and always changing, but my local Target always checks my ID and my card. It could be partially because the RB’s haven even rolled out at this store, although many are aware of it. It’s YMMV and always changing, but my local Target always checks my ID and my card. It could be partially because the RB’s haven even rolled out at this store, although many cashiers are aware of it. So I just got back from Staples. Between now and December they apparently implemented a limit of 2 $200 gc per day. I mentioned the manager who brings them out knows my face and never has any problems giving me 6 vgc. The last time I bought them was when this same deal was going last year during the holidays. Out comes a manager, young guy with a straight face giving the impression I’m bothering him, and tells me he can only give me 2 cards. I asked if the (friendly) other manager was around and he quickly said she’s no longer with Staples. He then said he’s been there for more than a year and it’s always been policy of only 2 cards. Also wasn’t able to get a vgc from safeway because frowny face manager was there too. MS for me personally has turned into a not so fun endeavor over the last few months and I’m probably going to shift all MS (other than RB) to pajama MS such as credit card sign up bonuses and eBay deals etc. I know it’s always YMMV but when I run into so many road blocks it becomes not worth it when you factor in the opportunity cost of other things you could be doing with your time. I think i went a little over board and was shut down by chaSe. I bought 1.8k worth in 600 transactions and 2 400 transactions. Store limited me to 2k. Drove to another stor, pupurchased 600. Went to purchase another 600 and transaction failed to go through. Was on the phone with chase business for lit 25-30 mins while they verified my account. At the end of it, lady says “your account is under review, we will call you back.” 4hrs later they still haven’t called so i transfered all 83k to avios in my ink. 60k in my sapphire to combination hyatt n korean. Any thoughts? Probably a good idea to transfer them out. I haven’t heard of an exact situation like yours. It could be a simple as them investigating fraud or they could be looking at your account for perk abuse. Is it an easy rebate or mail-in rebate? Does the BOA 10% cashback deal work on visa gift card too? I wasn’t targeted for that promotion, but I did a little research and there doesn’t seem to be any language that prevents it. In my opinion it should work, but I can’t guarantee it will. Ok. I will try it out and report back.